Age selecter — Welcome to the GameSalad forum! Hi I was wondering how I can setup a box where they select there age without having to write out and edit every age individually. I want to make a slider like on iPhone where you slide you finger up until you find your age. Is there any way I can accomplish this affect without having to manually edit every age. 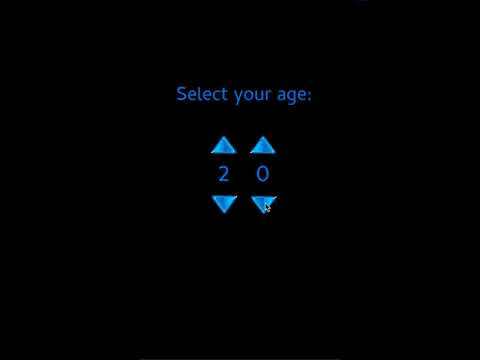 It's not a slider but here's a fairly simple way to make an age selector. I added a repeat if you hold down the tap/click.